The OKNA Insul-Tec is our most popular choice for window replacement. The Insul-Tec combines excellent craftsmanship with a traditional look and feel. 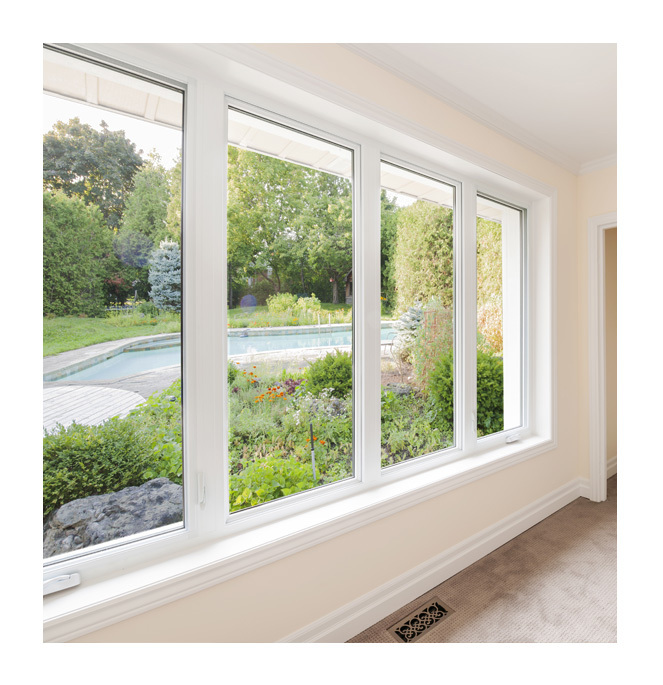 This Series offers all the benefits you come to expect from vinyl windows with a variety of options to make your home energy efficient while enhancing its beauty. Since all OKNA products are custom-made, you can be sure of a perfect fit, which translates to savings on time and labor during installation. The Precision Weld by Okna Windows is a great choice for home owners who want a high quality replacement window at an affordable price. The Series 400 as it is called has a very clean appearance both inside and out. The exterior master frame has a two point welding system and beveled appearance giving the window a clean look on the exterior. The Precision Weld comes in white, almond and coca along with the option of a full screen, interior grids and foam filled frames and sashes. Just like all of Okna windows quality products the Precision Weld has triple weather stripping, a warm edge spacer and the same ClimaGaurd insulated glass to make it one of the most efficient windows on the market. Our 700 Series Casement cranks out smoothly for maximum ventilation as well as effortless cleaning. The window can be hinged on either side with the sash opening outward in a swinging motion. The casement offers a whole new level of beauty in a window that’s also wonderfully functional.